The Grendel Report: Can Ukraine Avoid Partition? I wish it were as easy as goodies against baddies, students against secret policemen, democrats against autocrats. In the early stages of an uprising - what we might call the Arab Spring Phase - Western media, wanting to simplify things for their readers, gloss over the complexities. Later, when things turn tragic, those readers can be left baffled. Don't get me wrong. Viktor Yanukovych was a nasty piece of work, whose goons carried out unspeakable crimes. My sympathies were with the protesters, both in general (the vision of a pluralist, market-oriented Ukraine is more wholesome than that of a country tied to Putin) and on the specific issue that triggered the demonstrations (a free trade agreement is better than a customs union, because it is non-exclusive). 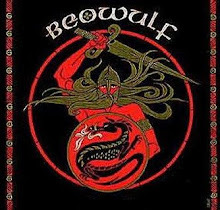 But the ousting of a thug doesn't mean that "all shall be well / and all manner of thing shall be well". This is, after all, not the first time that Yanukovych has been toppled by street protests. Ten years ago, crowds in the same places pushed him from office and, in new elections, installed their candidate, Viktor Yuschenko. Years of corruption and failure followed, and Yanukovych came back, in an election that observers agreed had been free and fair, in 2010. Ukraine means "edge" or "borderland" (Krajina in the former Yugoslavia shares its etymology). To Russian nationalists, Kiev is the cradle of Russian nationhood, and Ukrainians are the Little Russians who, along with the White Russians and the Great Russians, comprised the historic motherland. 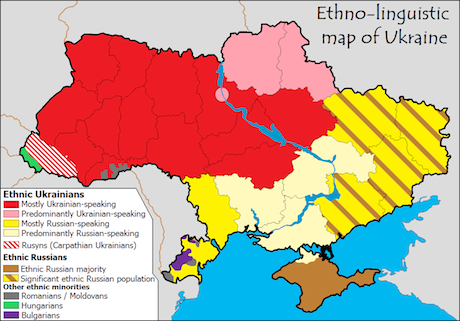 Plenty of Russians will tell you that Ukrainian is a Russian dialect and Ukrainian national identity a creation of, first, Polish and, later, Austrian occupiers. They point to the many famous Russians who might as easily be called Ukrainian - Gogol, Tchaikovsky, Brezhnev - arguing that the distinction is synthetic and pointless. Ukrainian patriots respond by pointing to the result of their 1991 referendum, when 92.3 per cent of voters, including a clear majority of Russian-speakers, voted for independence. 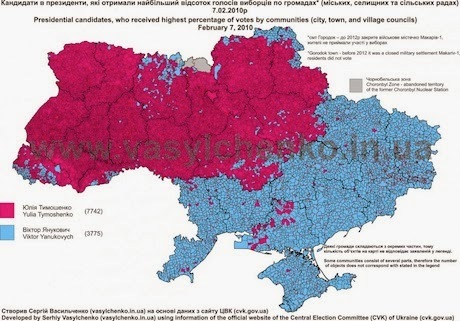 There were majorities for separation in every region - even Crimea, which had always historically been part of Russia until whimsically given to Ukraine by Khruschev (another Russian with Ukrainian connections) in 1954. These two views - Ukrainians as a historic people, Ukrainians as a strain of Russians - frame the present quarrel. Most Russian nationalists allow, albeit reluctantly, that Ukrainian national consciousness exists. Alexander Solzhenitsyn grumpily accepted that western Ukrainians, after the horrors of the Soviet era, had been permanently alienated from Mother Russia; but he insisted that the frontiers were arbitrarily drawn under Lenin. If Ukrainians claimed independence on grounds of having a separate national identity, he argued, they must extend their own logic to the Russian-speakers east of the Dnieper. Look at the two maps below: the first showing the linguistic division, the second the result of the last presidential election. The Slavophile-Westerniser split (to borrow nineteenth-century Russian terminology) is not only about language, of course. There are always complexities: Russian-speakers who are fiercely anti-Moscow, Western Ukrainians who associate the Tymoshenko years with cronyism and sleaze. Still, 13 years after independence, there are few signs that the two sides of the country are melding. Plainly a pro-Russian regime can't govern the whole country: the recent uprising has put that fact beyond doubt. If the Slavophiles can't rule the West, might the Westernisers win the East? The way of life they propose ought to be more attractive. But we should not underestimate the importance, in such a region, of blood and speech. Nor should we underestimate how much more Ukraine matters to Moscow than it does to Brussels. Vladimir Putin has mobilised troops on the border. Does anyone imagine any EU government, with the possible exception of Poland's, contemplating a military response? If neither the Slavophiles nor the Westernisers can carry the entire territory, some kind of separation starts to look inevitable. Such a separation might come about as paramilitary groups establish local supremacy. Or it might happen as a result of Russian intervention, as in Armenia, Moldova and, later, South Ossetia. It is easy enough to imagine Russian security forces crossing the border at the request of local proxies and establishing a de facto Russophone state. The Trans-Dniester Republic still exists, unrecognised but very much in force, on Ukraine's western border; why not a Trans-Dnieper Republic to its east? Does Nato have the will to prevent such a development? If not, what are our options? If a partition is coming anyway, might it not be better to take ownership of the process: to see that the border is decided peacefully and by referendum rather than by military occupation? To ensure that the two new entities recognise each other, that free movement of goods and people is guaranteed, that we avoid another frozen conflict in which families are separated and the economy is wrecked. It might be that negotiations would not result in the destruction of the Ukrainian state, but in the development of a loose confederation. To put it another way, if a cleavage is coming in any event, it is surely better for it to happen through reluctant agreement than through war and ethnic cleansing. I may be wrong about all this. I hope I am. But the prospect of a Korea-style military division, of thousands left stranded on the wrong side, of a bristling Russian armistice line cutting through a European state, of a lasting military confrontation between Moscow and the West, ought to make us cast around for alternatives.